Closing Civic Spaces In Nigeria | Youths Arrested and Charged to Court for Holding Biafran Flag. Youths Arrested and Charged to Court for Holding Biafran Flag. 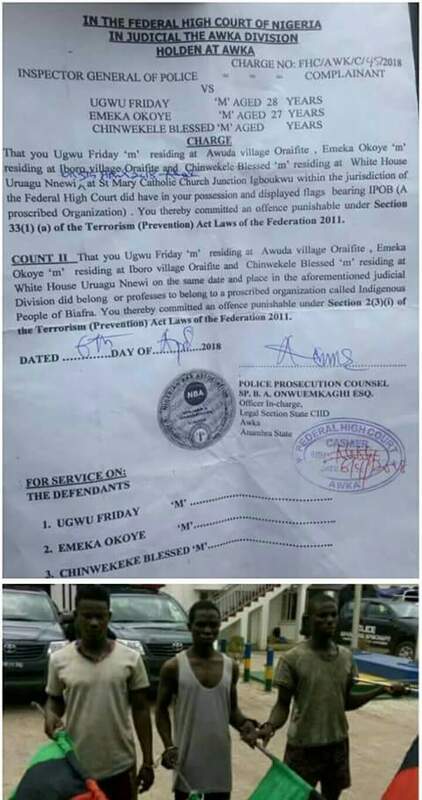 Ibrahim Idris, Inspector General of Police, charged 3 Biafran youths to court and got them remanded in Awka prison under Terrorism Act Laws, for only being caught with an IPOB flag. Security Agents Involved The Inspector General of Police.